I mentioned in a prior post that I was (haven’t checked recently) Vitamin D deficient. This is not surprising since most of Vitamin D comes from getting enough sunlight. I am practically a hermit, especially during busy seasons at work. Vitamin D is an important vitamin that we need for strong and healthy bones. Calcium is needed to harden bones. Vitamin D is also essential because it helps your body effectively absorb calcium. 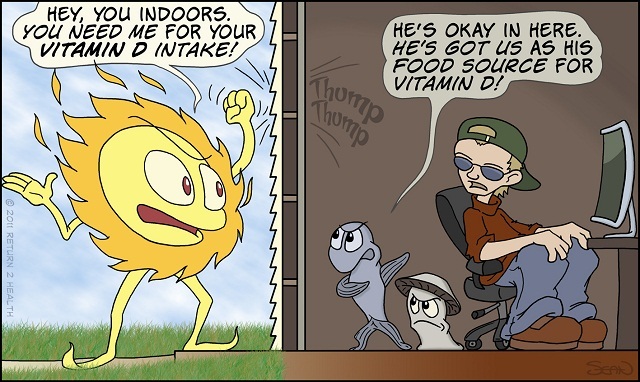 Furthermore, Vitamin D makes sure that your body can fight infection. Your body produces its own vitamin D from contact/exposure with sunlight (beware of getting too much, there is still skin cancer to think about!). 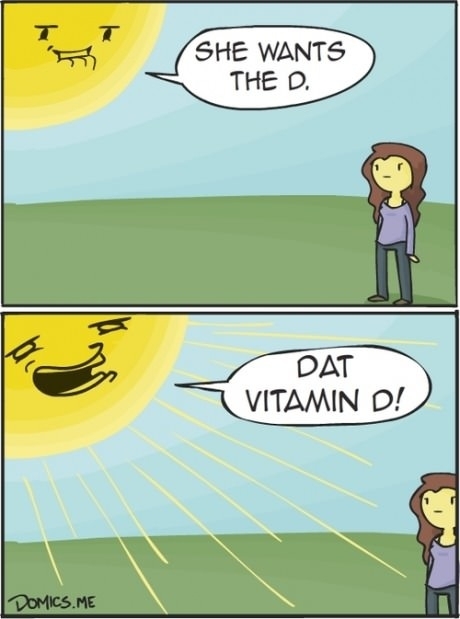 Vitamin D is the only vitamin your body can make on its own. There are actually not that many food you can get Vitamin D from. But you can find it in fatty fish like salmon, tuna, and cod. Fish liver oil is also a good source. Mushrooms (that grow in sunlight) can also generate Vitamin D.
Per the Food and Nutrition Board, the average recommended amount needed is 600 IU (International Units) per day (1,000 IU per day if you do not get much sunlight). Keep in mind, however, too much of a good thing can be a bad thing. Too much Vitamin D can cause abnormally high levels of calcium which can result in kidney stones. It can also cause constipation and abnormal heart rate. The upper level of intake before Vitamin D might become unsafe is about 4,000 IU per day. I was prescribed supplements by my doctor and I took them for a few months. Now I just get outside for more walks. I have also been enjoying salmon more lately and I have always loved cod. So hopefully I’m getting my share of Vitamin D now. Do you have any interesting tidbits to share about Vitamin D and ways to get enough of it? Please let me know in the comments. im vitamin D deficient too, i had no idea though that too much can be not good for u but also wasn’t aware of all the different sources of vitamin D. I did take vitamins for a bit but got sick of taking them so I quit but I am super pale and really need to do something about my lack of vitamin D.